This page discusses the next steps for the Virtual Rosewood Heritage & VR Project. This centers on a massive update to the current virtual world environment, which roles out in March 2019. This new update is a standalone product titled Rosewood: An Interactive History. I am in final development and exploring ways to deliver this on multiple platforms via the indie gaming site Itch.io. The update features wholly new 3D models (see below), a re-designed user interface, and interactive content exploring background data, oral histories, and other information driving this fact-based virtual reconstruction. An updated version of a turpentine still for Rosewood: An Interactive History. A LOT has happened since the Virtual Rosewood Research Project began in 2005. Those early years centered on exploring new digital and virtual methods, building rapport with descendants, and facilitating various forms of public outreach. The initial version of this website and a virtual reconstruction of Rosewood went live in 2007. 12 years ago! The initial version of Virtual Rosewood, and the accompanying website left much to be desired. As research progressed and my knowledge of digital technologies evolved, Virtual Rosewood grew. An enormous amount of documentary research, oral history, and archaeological work now supports this project. The resulting digital documentary, 3D modeling, and virtual world building remains the foundation for my public outreach. By 2010 the current version of Virtual Rosewood was taking shape. The heart of this project for many is its use of video game technologies. 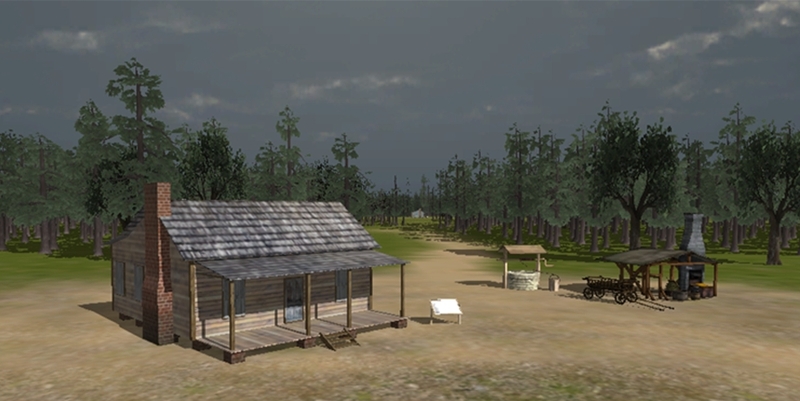 The initial virtual reconstruction of Rosewood went live in 2011. This included a web-based virtual world as well as a virtual museum in the (once) popular online world of Second Life. Thousands of people have interacted with the content and it remains a valuable resource for teaching and outreach. 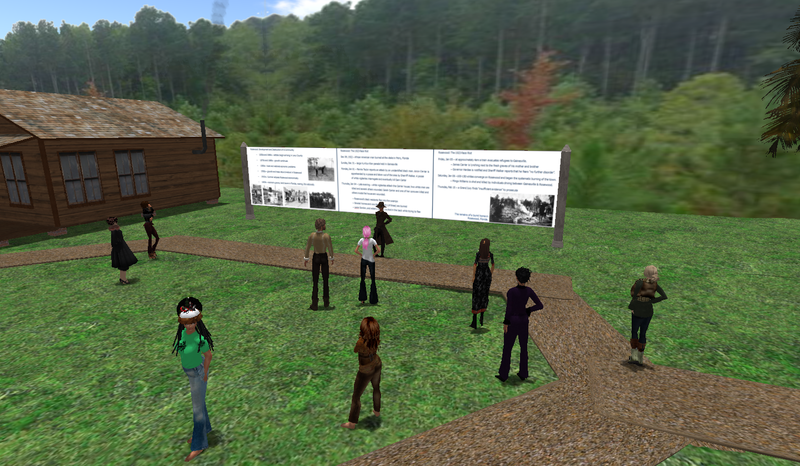 The Virtual Rosewood Museum in Second Life was a popular gathering place for online educators. It was discontinued due to cost. The project’s future is bright. A recent grant from the Florida Division of Historical Resources is funding additional archaeological work. This is the first large-scale archaeological investigation of a race riot ever. It also expands research beyond Rosewood to include the neighboring community of Sumner. Updates to Virtual Rosewood focus on increased realism and interactivity. It has been seven years since Virtual Rosewood went live. This is a LONG time in digital technology. The original version is out-of-date. My plans for the future of Virtual Rosewood have been discussed in various publications. For a brief overview, see this publication from 2016. Rosewood: An Interactive History is a unique approach to teaching history through the use of video game technologies. It draws users into the rural world of north Florida 100 years ago. Users interact with various forms of information as they explore a richly detailed 3D world. This includes interacting with the material culture of the time period, accessing relevant archaeological and documentary data via the user interface, and accessing oral histories of survivors and descendants that describe their lives in Rosewood and beyond. 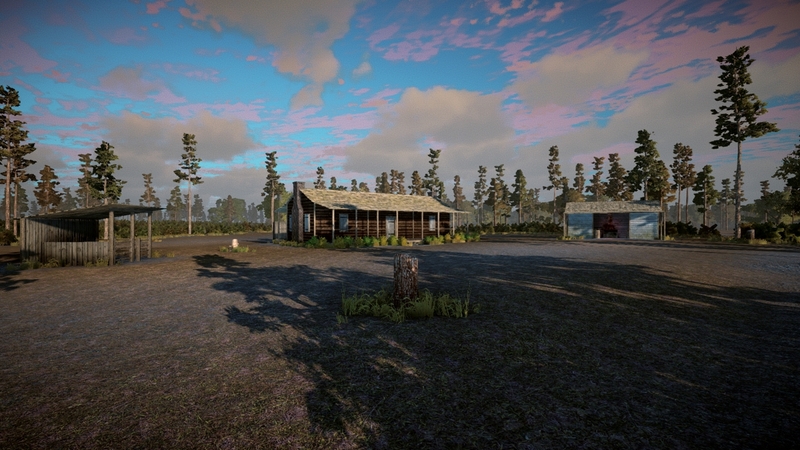 A screenshot from the final version of RAIH showing the Carter homestead and blacksmith shop. The above image is from the final version. Although development was delayed, I am now on track to release Rosewood: An Interactive History in April 2019! A demo goes live the first week of April and the full version by month’s end. Check back often!